Wondering about how to cook flounder fish? I have several good recipes for flounder, and I’m sharing a couple of them with you here. 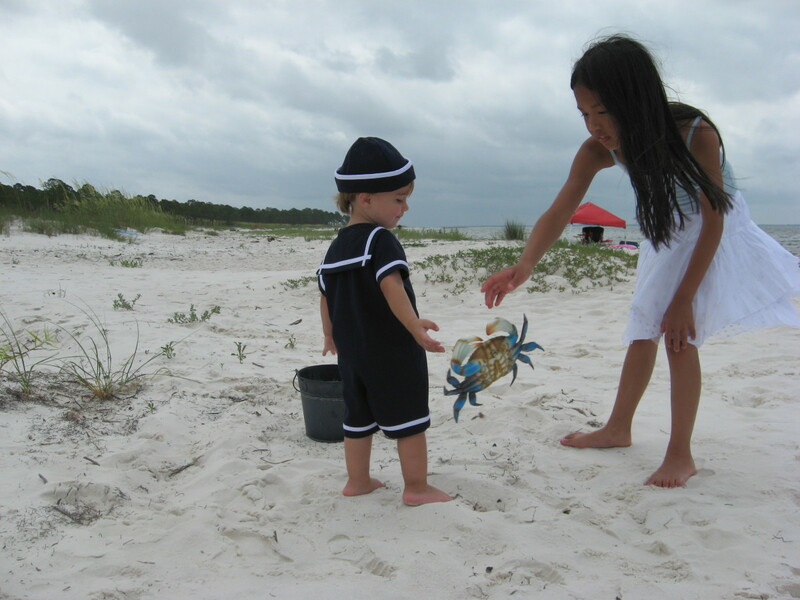 We enjoy eating fish, especially saltwater fish. Several family members and I are avid anglers, and while we do some freshwater fishing occasionally, we much prefer casting a line in the ocean, bays, tidal creeks, and estuaries of the Atlantic and the Gulf of Mexico. We usually eat what we catch, as there’s nothing quite like really fresh, straight-from-the-sea fish and seafood. We like cooking fish like shark, whiting, sea trout, pompano, redfish, snapper, puppy drum, and sheepshead, but our two favorites for eating are grouper and flounder. To be honest, we don’t catch a lot of grouper because most of our angling is done in shore or near shore, but we do catch a lot of flounder. Flounder is delicious! Flounder fish aren’t the most attractive species, but their flesh is white, mild, and flaky. The fish is flat, with both eyes on the top side, and they have a large mouth with several sharp teeth. Don’t judge this “book” by its cover, however. The delicate flesh is excellent in a number of fish recipes. 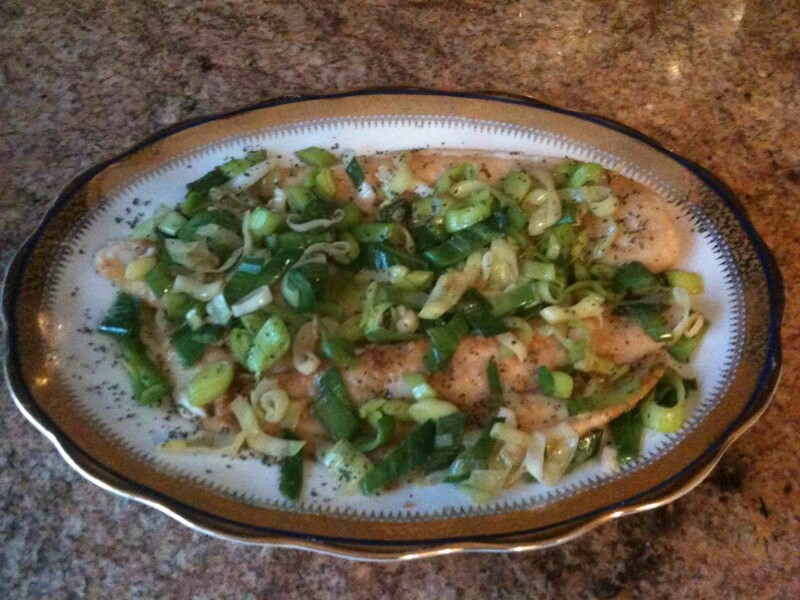 Below, I’ll tell you how to cook flounder in several different flounder recipes. They can also be used with other saltwater fish or freshwater fish that are lean and mild. 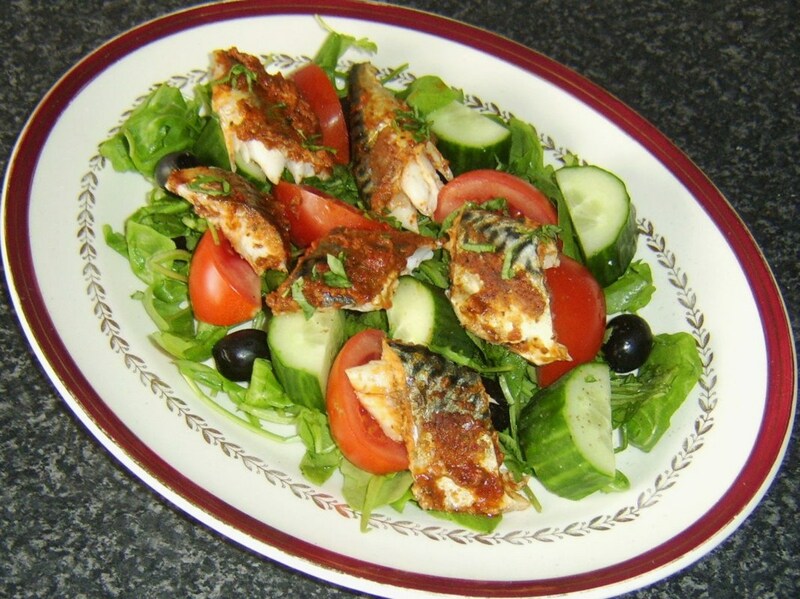 My ideas on how to cook fish are for lean, non-oily fish with a mild flavor. I don’t like oily, “fishy-tasting” fish, so don’t try these fish recipes with salmon, mackerel, or rainbow trout. Some of the recipes might be good for such species, but they were created especially with lean fish in mind. Some freshwater fish you might want to try here include catfish, bass, and crappie. 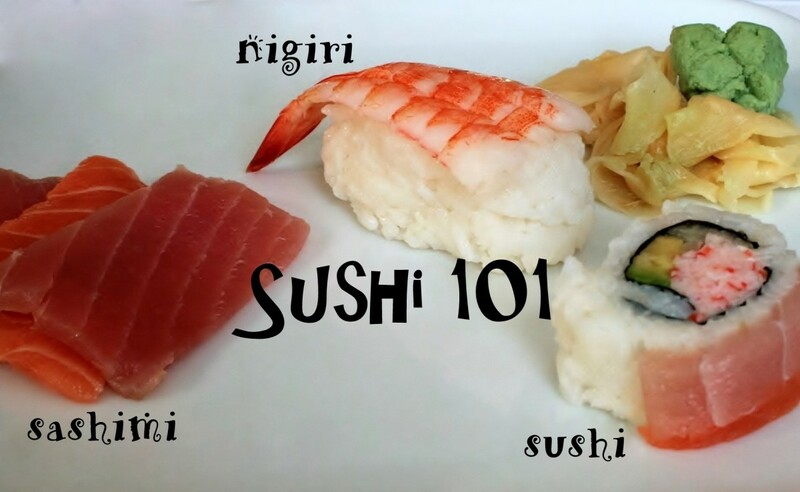 Some saltwater fish you might want to try with these recipes for fish are spotted seatrout, red drum, small black drum, sheepshead, grouper, snapper, whiting, croaker, shark, halibut, and, of course, flounder. They also work well with tilapia. When you’re learning how to cook fish, pay very careful attention to the cooking time. The flesh cooks quickly, and if you don’t pay attention, your fish will be overcooked. Lean species like flounder fish are done when the flesh turns white, opaque, and flakes easily with a fork. Undercooked fish will still have some flesh that’s somewhat clear and translucent. The individual flakes won’t separate easily, either. When you’re cooking a recipe for baked fish that still has a backbone, the flesh will start pulling away from the bone when the fish is done. My favorite flounder recipes are for fried ones, but there are other good ways to cook fluke. It’s good baked, broiled, stuffed, sautéed, and pan-broiled. With thicker fillets, blackening is also a good option. I know some cooks who like to poach flounder, but I don’t care for that at all. Flounder can be cooked on an outdoor grill, too, if you take a few precautionary steps. If you catch your own flounder, you’ll have to clean or dress it before cooking, of course. You can do this several ways, partially depending on what types of recipes you want to use. Flounder have a top side and a bottom side. The spine runs along the center of the fish, so if you fillet the fish, you’ll get four fillets. The two from the top side will be thicker and heftier than the two fillets that come from the bottom side. For large fish, you might want to cut the big fillets into smaller sections. This is especially true for fried recipes. If you’re buying this fish at a supermarket or fish market, you might have a choice of fillets, a whole one, or fish with the heads and entrails removed. The skin is usually removed from the fillets, but occasionally, the skin is left on the flesh. This can be a plus for grilling, as the skin will help keep the flesh intact. Even if you wish to cook a whole fish with the head still attached, the fish will need to be gutted and scaled first, and the gills need to be removed. So…which cuts of flounder are best for which recipes? For frying, I like to use fillets without the skin. 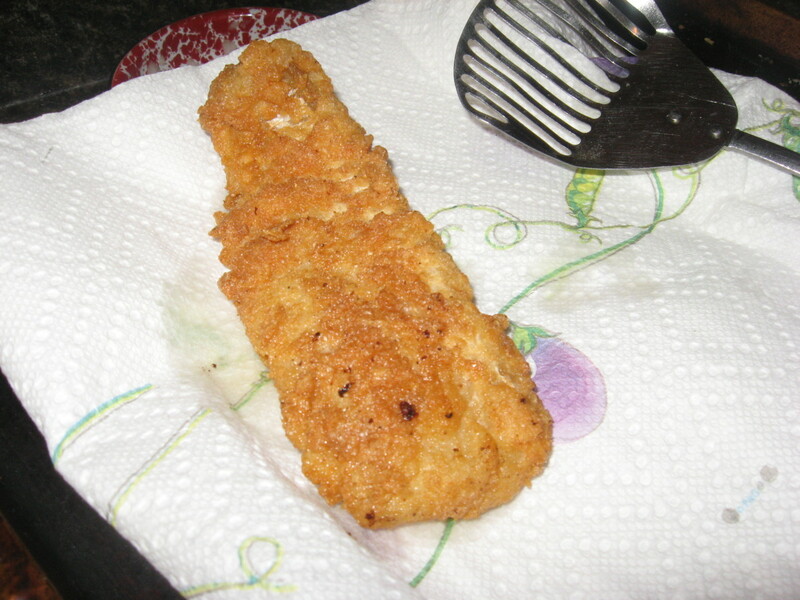 On the other hand, hubby likes to fry small flounder whole, with just the head and innards removed. 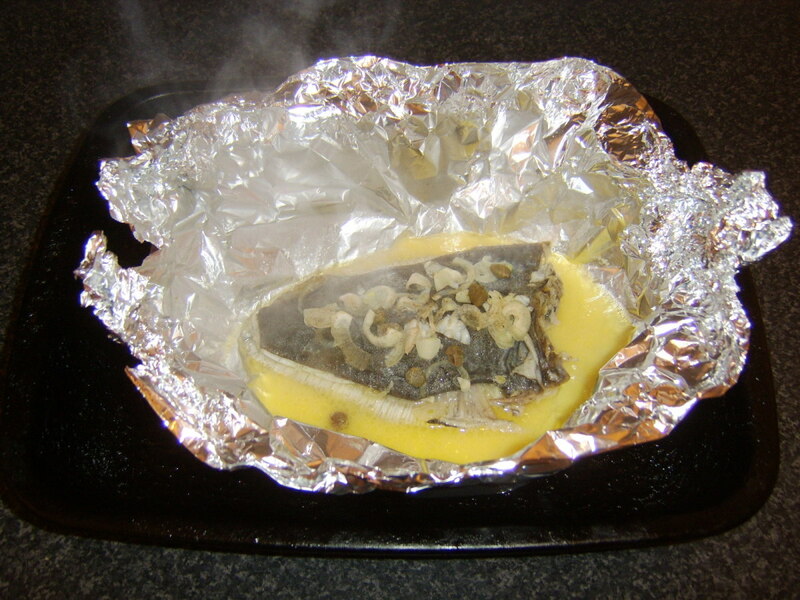 For baked recipes, whole fish or thick fillets can be used. 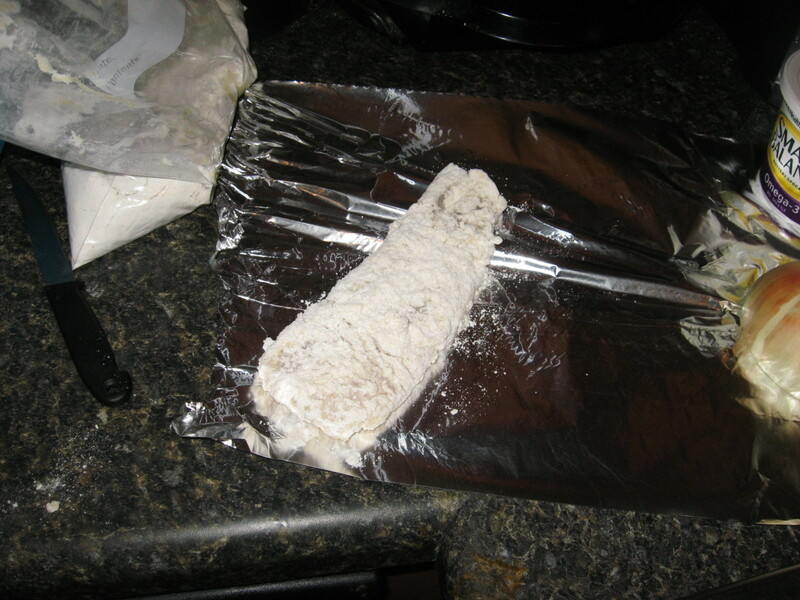 For stuffed recipes, you can use a whole fish split down the middle and place the stuffing inside, or you can use a long, thin fillet and wrap it around the stuffing. Pan broiling works well with fillets – with or without the skin – as does sautéing. 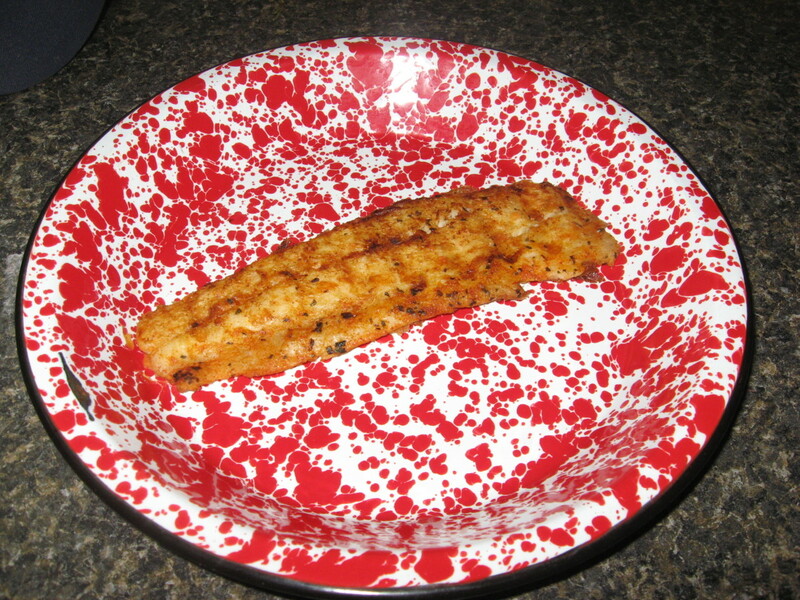 For grilled fish recipes, use thick fillets with the skin left on. 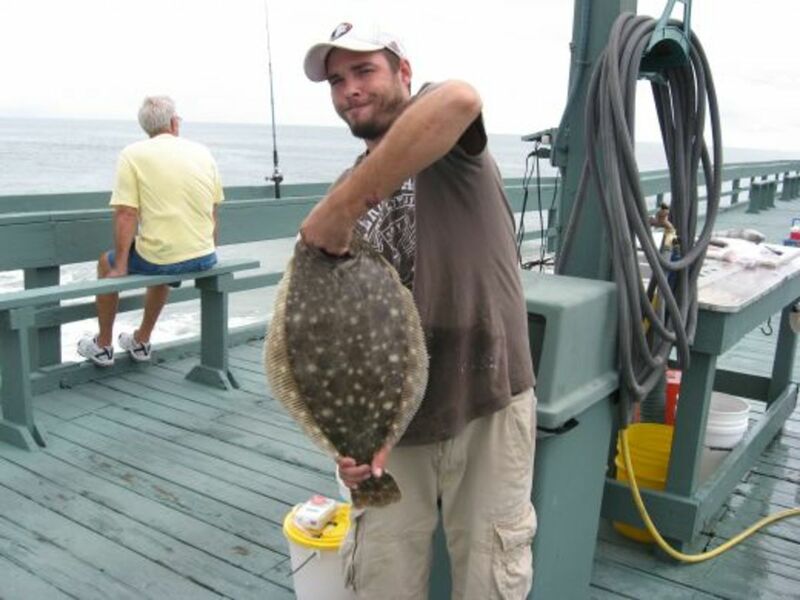 Whole flounder are also great for the barbecue. Just remove the entrails, scales, and gills. Leave the head off or on, as you prefer. How to fry fish is a big deal in the South, where I’ve always lived. The two most important aspects are the batter or coating and the temperature of the oil that’s used for frying. A wet batter needs to be the right consistency to remain on the fish, and a dry coating needs to “stick” well to the flesh. Keep a close eye on your oil, too. It needs to be clean, fresh, and the right temperature. If the oil is too hot, the fish will burn, or the outside will cook to a nice brown while the interior remains undercooked. If the oil isn’t hot enough, you’ll wind up with greasy, soggy fish. We know how to fry fish here in the Deep South. In fact, we’ll fry just about anything! Even so, few cooks agree on which fried fish recipes are the best. Most of the disagreement comes about in the choice of coating. 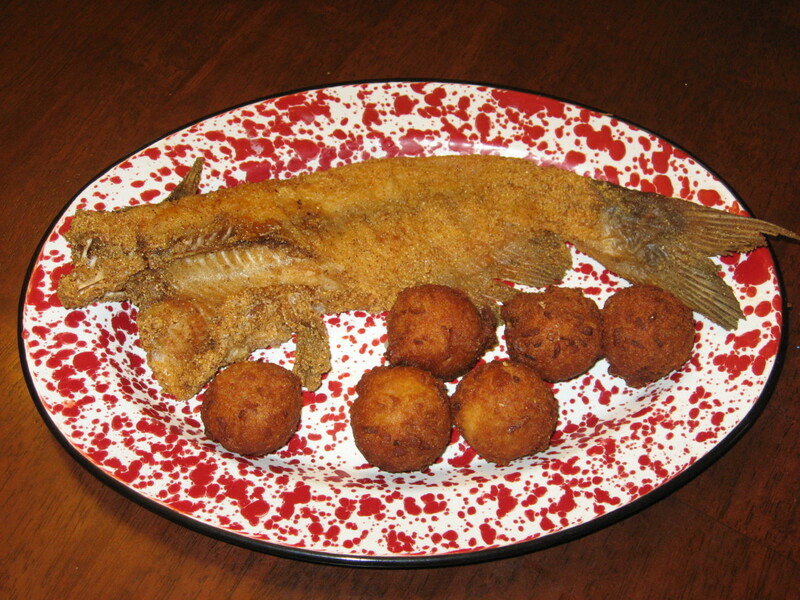 Traditionally, southern fried fish is dipped, rolled, or shaken in cornmeal before being added to the fryer. The meal is usually seasoned with salt and pepper, but other seasonings are sometimes included, like cayenne, lemon pepper, paprika, celery salt, onion powder, garlic powder, or white pepper. Personally, I don’t like to use cornmeal as a coating for fish recipes – at least, not by itself. From my cooking experience, it’s a much better idea to combine some self-rising flour with the cornmeal, in about a half-and-half ratio. Some cooks just like to slightly dampen the fish before shaking them in a dry coating, but I like to give the fish a little help. I usually dip the fish in beaten eggs, milk, or buttermilk, or in a mixture of eggs and milk or buttermilk. This really helps the flour and meal adhere to the fish’s exterior. Other dry coatings you might want to try include dry bread crumbs, finely crushed cracker crumbs, panko, or a commercial seafood coating mix, some of which are already seasoned with spices. 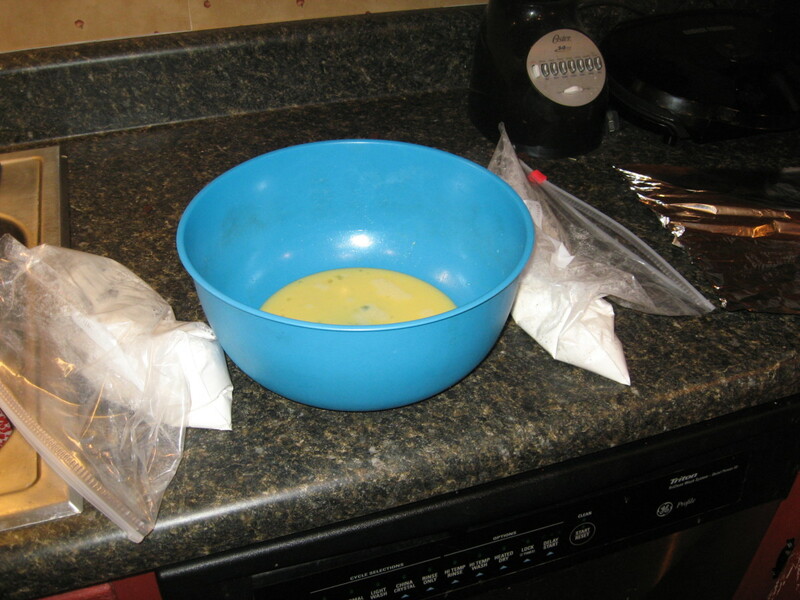 Instead of a dry coating, you might wish to dip your flounder in some type of batter. Such a batter might include flour, cornmeal, pancake mix, Bisquick, milk, buttermilk, eggs, beer, or water. Now, for the oil. The best oil for cooking fish is peanut oil, in my opinion. Why? It’s because peanut oil has a high smoke point and a nice flavor. My second choice for frying fish is canola oil. The oil needs to be hot when you add the fish, and it needs to stay at a hot, consistent temperature throughout the frying process. At what temperature should the oil be? 350 degrees is a good general rule of thumb. If you’re frying thin fillets, I suggest raising the temperature of the oil to 360. For thick fillets or whole fish, you’ll want the oil to be between 340 and 350 degrees before adding the fish. Remember that it’s important to keep the oil at the right temperature, too. When you add cold foods to hot oil, the temperature can drop quickly, so it’s best to fry in small batches. Add just a few pieces at the time, and be careful not to crowd the pot or pan. Each piece of fish needs to have some room. When the fish are golden brown on both sides, they’re ready to be removed from the oil. Use a slotted spoon or fry basket for this. 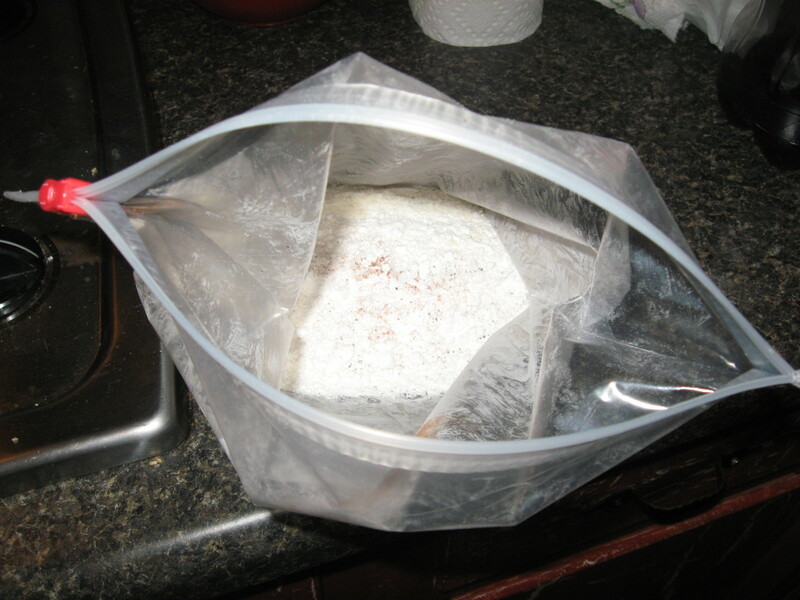 Drain the cooked fish on paper bags, napkins, paper towels, or wire racks. 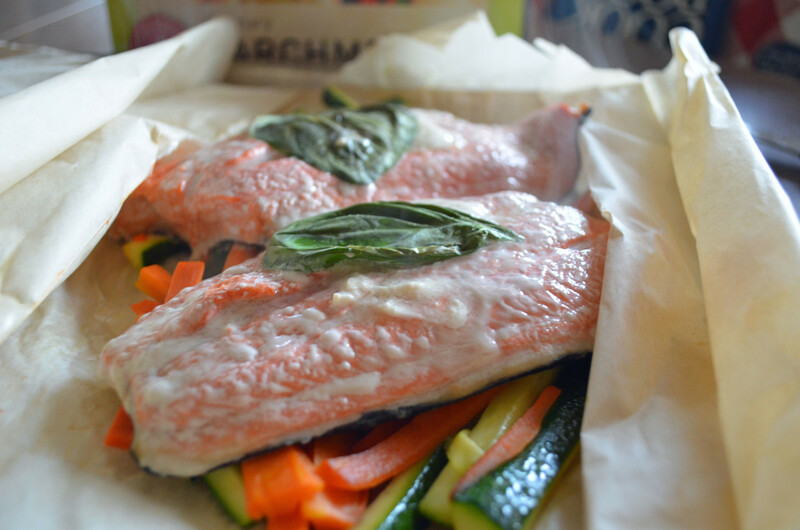 Keep the cooked fish warm in the oven while you’re frying the remainder. 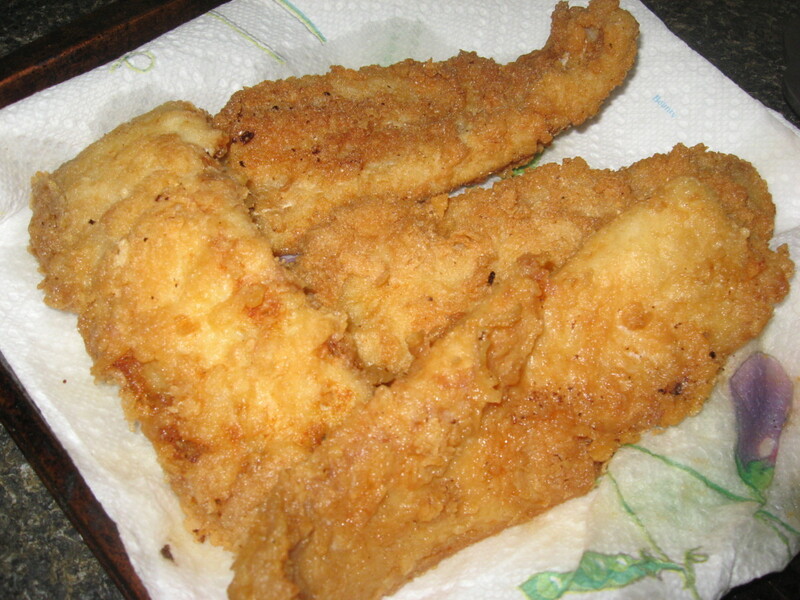 I have lots of fried flounder recipes, but this is probably my favorite one of all. It’s not complicated, and the results are really yummy. Fried flounder is great with homemade tartar sauce, coleslaw, hushpuppies, and French fries. 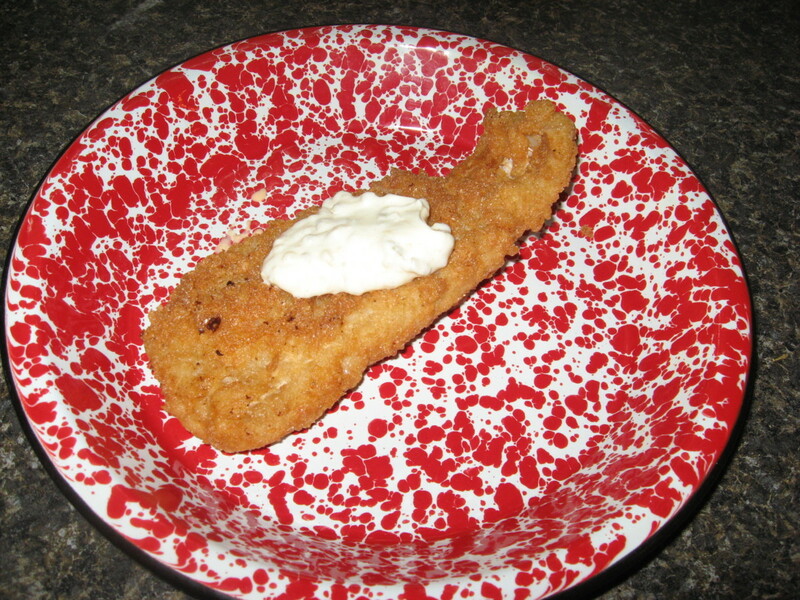 Rate my recipe for fried flounder! 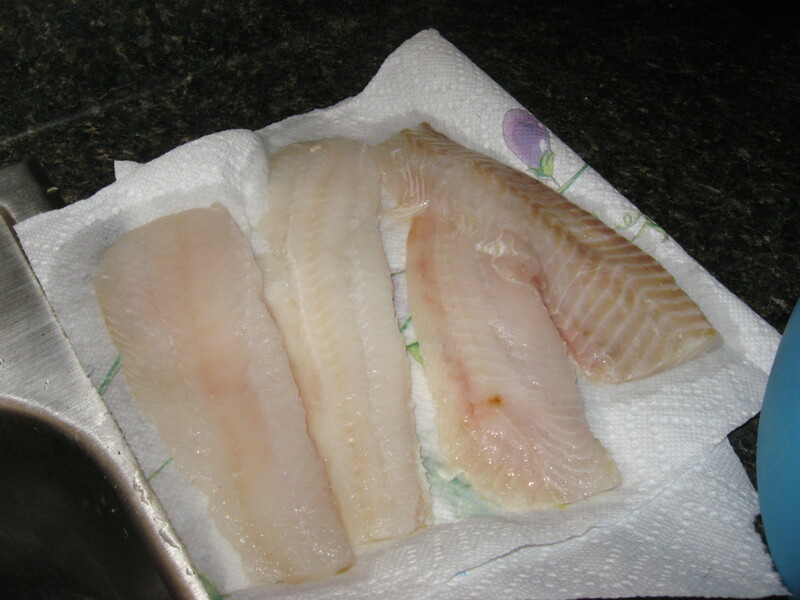 Rinse flounder fillets and lay on paper towels to dry. 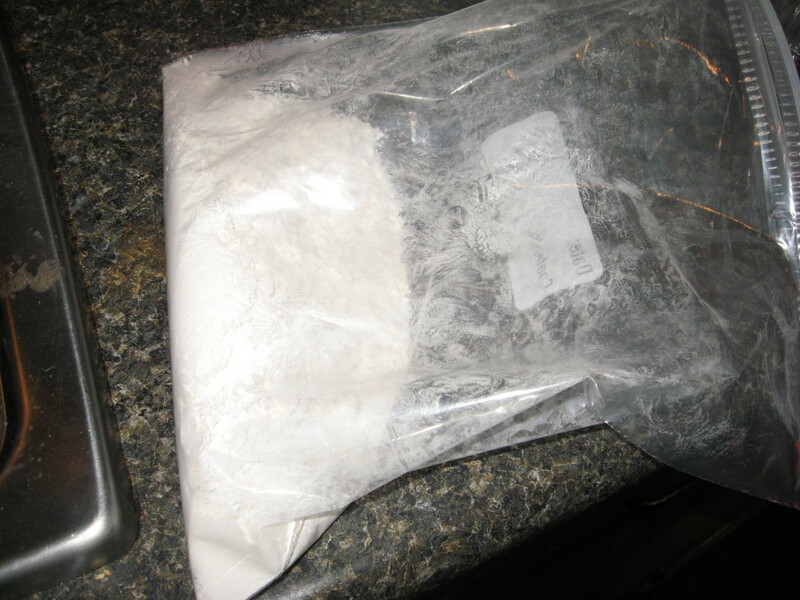 Place 1 ½ cups flour in a large paper bag or in a large Ziploc bag. Combine remaining flour, cornmeal, salt, black pepper, lemon pepper, and cayenne in a large bag. Whisk together eggs and milk until frothy. Pour several inches of oil in a large pot or Dutch oven and heat to 350 degrees. 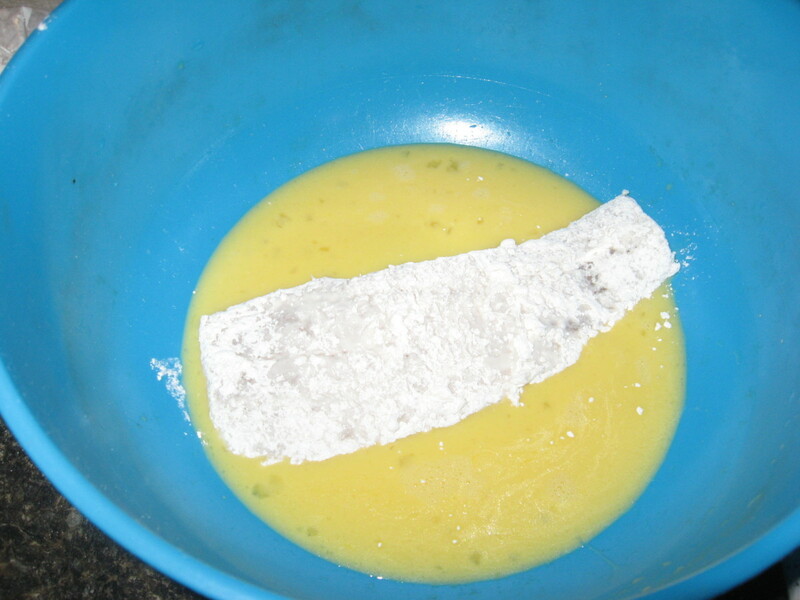 When oil is almost ready, shake fillets in flour, dip in egg mixture, and shake in flour-cornmeal. Gently shake fish to remove excess coating. 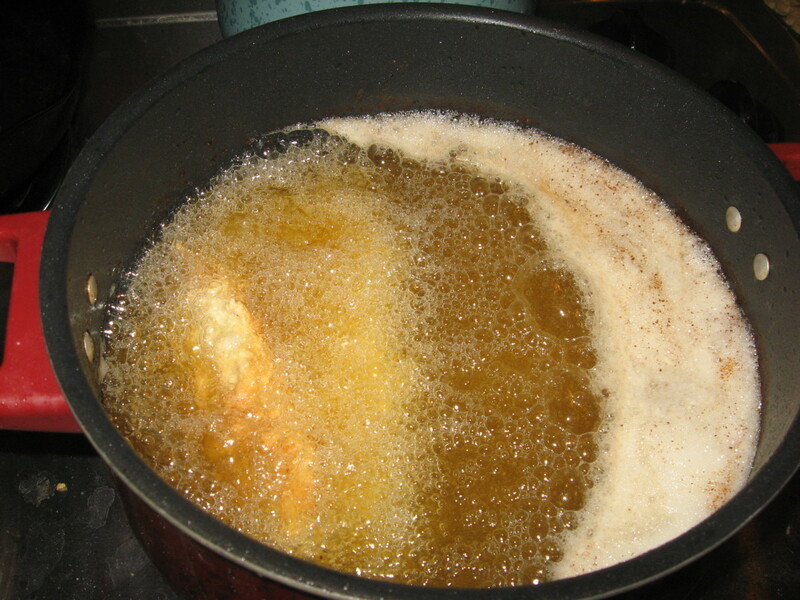 Place fish in oil and fry until both sides are golden brown. Drain on paper towels or wire racks. This recipe for baked fish can be used with any lean, mild fish fillets, and it works great for baked flounder. I like to make a crabmeat stuffing for my stuffed flounder, but you might prefer using a bread stuffing, instead. Boxed mixes work pretty well here, although I usually add a little more butter than what’s suggested in the directions on the box, along with an egg. Rinse and dry fillets and place on a tray or platter. Place ¼ crabmeat stuffing at the wide end of each fillet. Fold narrow end over stuffing and tuck underneath. 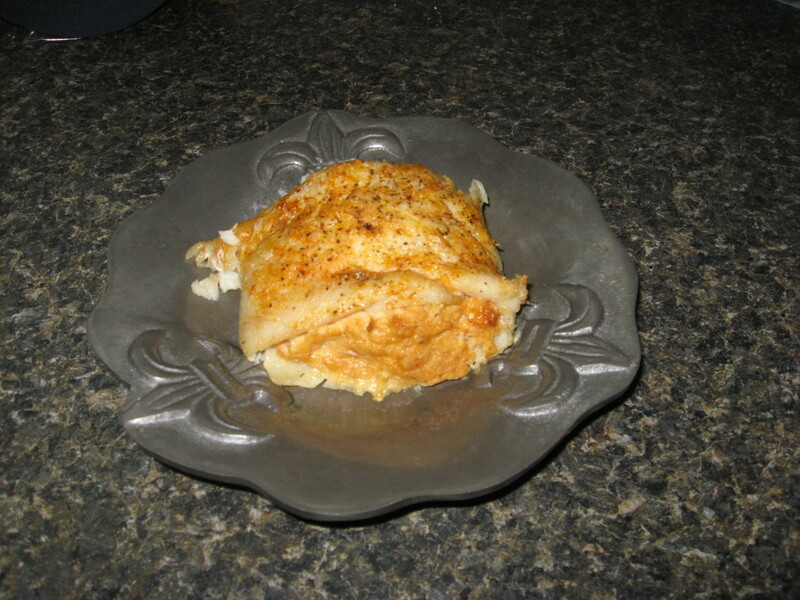 Using a spatula, place stuffed flounder fillets in a buttered baking dish and brush or drizzle with melted butter. Sprinkle with paprika, salt, and pepper. 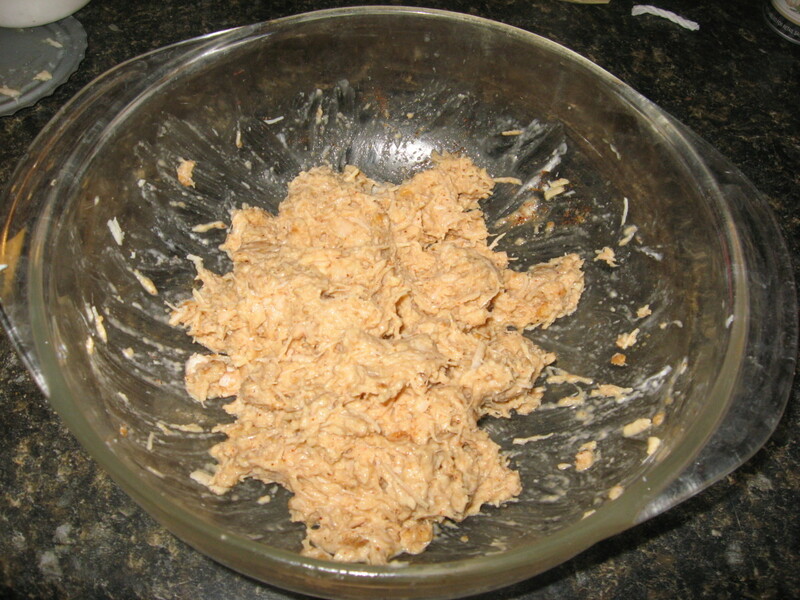 Flake crabmeat and check for pieces of shell and cartilage. Place crabmeat in several thicknesses of paper towels and squeeze gently to remove moisture. Combine crab with remaining ingredients allow to sit at room temperature for about 5-10 minutes for cracker crumbs to soften. We really like grilled fish recipes, but cooking fish on a barbecue can be tricky. Because of the delicate flesh, cooking fish like flounder on the grill can be especially tricky – but not impossible. First of all, consider the thickness of the fillets – if you’re using fillets. Thicker cuts work better on the grill, and they work even better if you leave the skin on. Another option is to place the fillets in a grilling basket. 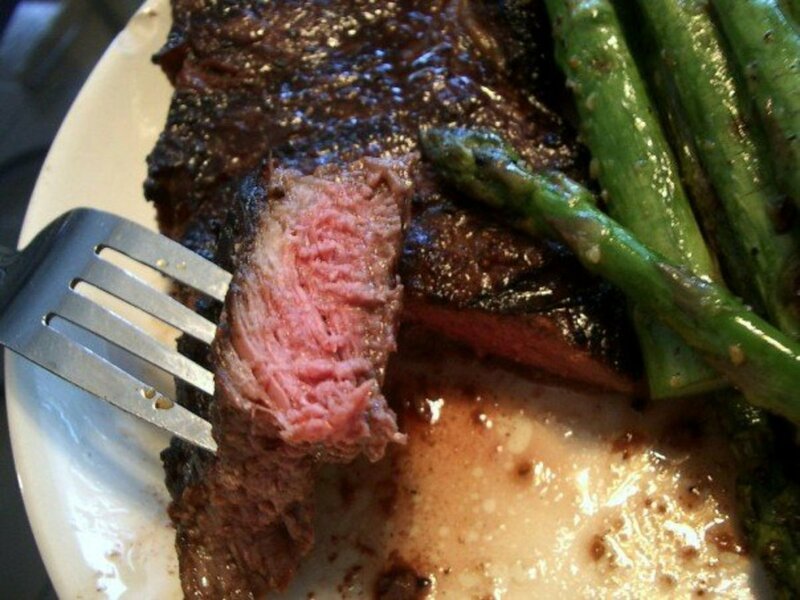 Fillets can be cooked in foil, too, but they don’t get that nice browning that a grill provides. You might also want to consider grilling a whole flounder. How to cook flounder – on a grill? Choose thick fillets, as I’ve already suggested. Measure the thickness of the fish and adjust your cooking time accordingly. A good rule of thumb is to allow ten minutes of grilling time for every inch of thickness. That would be five minutes per side. If you use a basket for grilling, it will take a little longer for the fish to cook through. 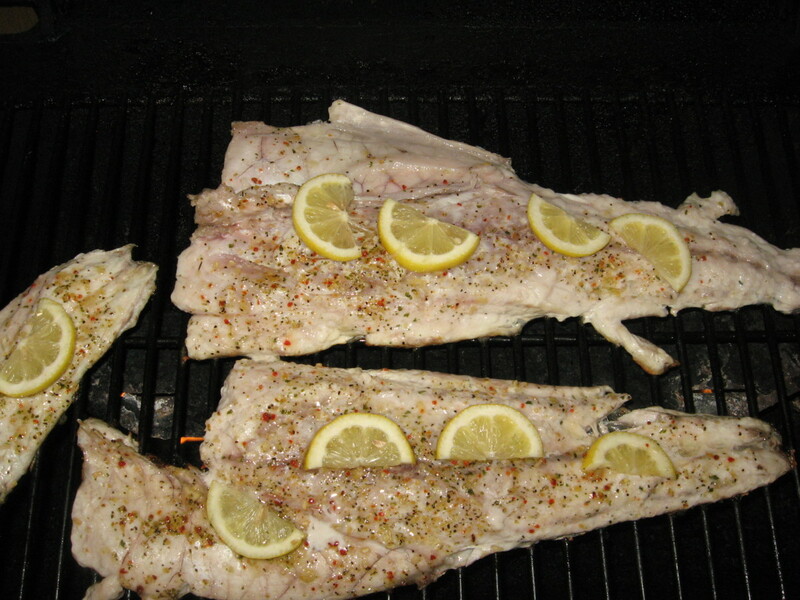 When you’re using grilled fish recipes for lean fish like flounder, the flesh tends to stick to the grilling grates. When trying to turn or remove the fish from the grill, the sticking can cause the flesh to literally fall apart. To help avoid this, you need to make sure the grate is extremely clean, and then it needs to be oiled. 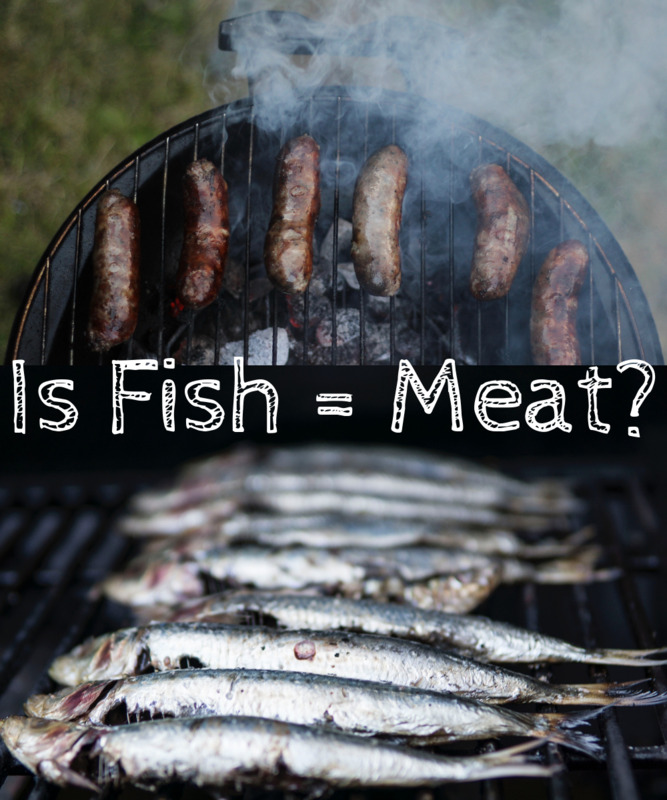 This is true whether you’re grilling fish in the round or fillets. Yet another option is to use a wire basket made for grilling. If you’re not using a grill basket, be very careful when turning the fish. It’s a good idea to use a metal spatula. Some sort of fat will need to be added to the fish, as well as to the grill grate. The choice is up to you. You can use olive oil, canola oil, corn oil, butter, or some other type of fat. We’ve also grilled fish with bacon wrapped around them, and they were awesome! If you decide to go the bacon route, you won’t need to use any other type of fat or oil on the fish. You might want to use a marinade for fish before grilling. If so, don’t leave the fish in the marinade for too long. Enjoy the following grilled fish recipes! Rinse fillets and pat dry. 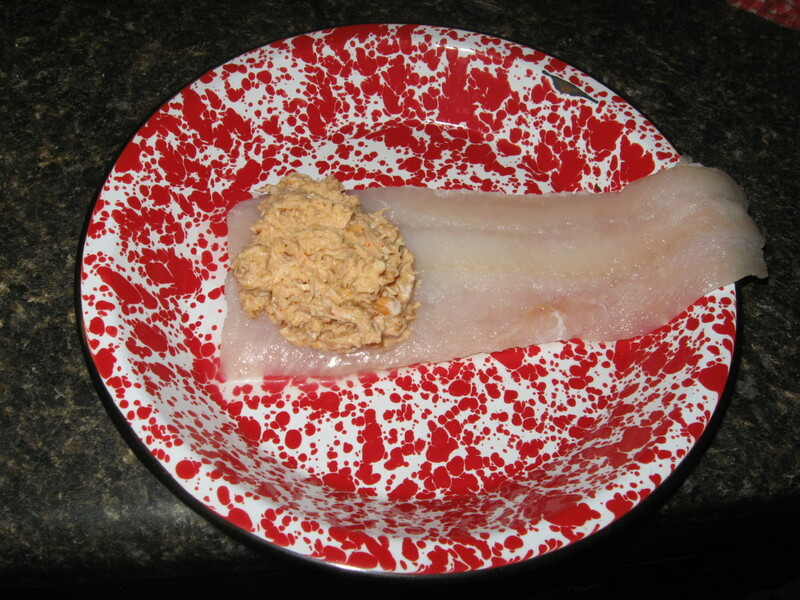 Place fish in a plastic bowl or food bag. Combine ½ cup pineapple juice with oil and pour over fish. Refrigerate and marinate for 30 minutes. Heat grill to medium-high. Make sure grate is clean and oiled. While the grill is heating, make the brushing sauce. Combine 3 tablespoons pineapple juice, brown sugar, soy sauce, and ginger in a small microwave-safe bowl. Heat for about one minute, or until brown sugar dissolves. Remove fillets from marinade and place on grill. 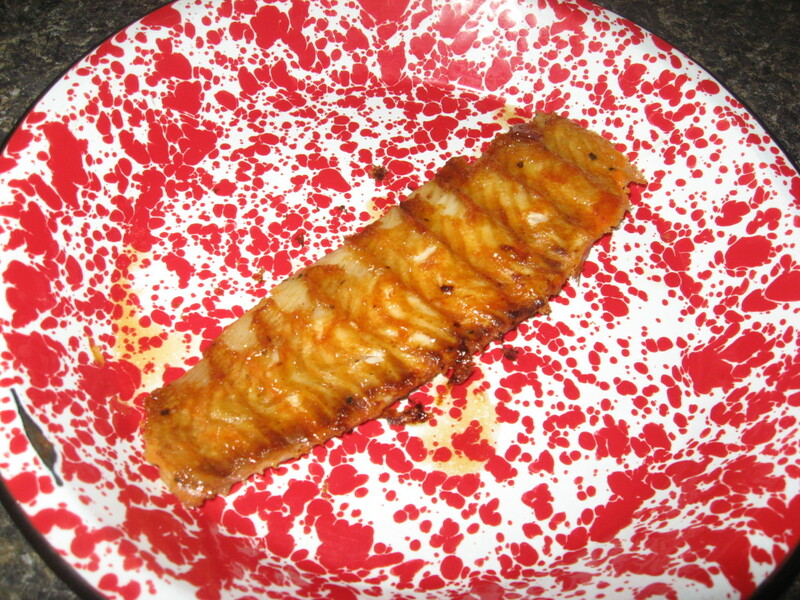 Brush sauce on fish. Cook on each side until fillets have brown grill marks. It should take about 8-10 minutes total grilling time for the fish to be cooked through, depending on their thickness. Rinse fish and pat dry. Place in a single layer in a glass dish. Combine remaining ingredients and pour over fillets. Cover and marinate in the fridge for about an hour. Oil grilling grates and heat coals to medium-high. Remove fish from marinade and place on hot grill. Grill each side for about 4 minutes, or until flesh is white and flaky. Your photo of the fried flounder looks so tempting - the color is just right, and it has exactly the crispy coating I love! I don't know how many tries it would take for me to get this technique down, but you've given me a goal to aim for. Voted up! I love fish and flounder is one of my favorites. Your photo of the fried fish has my wanting some right now. I am glad you also gave instruction on how to fry fish. Very helpful. how good does it get? Of course all fish that are fresh have a head start. Love the crab stuffing and the fish pictures look absolutely devine!!! This is a great hub with lots of really helpful information. Voting UP++++ And sharing. I will have to second you on the fried flounder. I love it and wish I could eat it more often. Thanks for all of the recipes. OK now Holle...when is dinner? You won't have to ask twice! Ha! All of your recipes look and sound delicious. I would be very happy with any one of them. We do not deep fry but often pan fry or sauté our fish. I'll bet that your flavorings would be just as good with our preferred cooking method. Gave this a 5 star rating plus up and useful votes. Sharing!